Description: A one-column, widget-ready, WordPress-style, half-hearted adaptation of the red pill in the move, The Matrix. 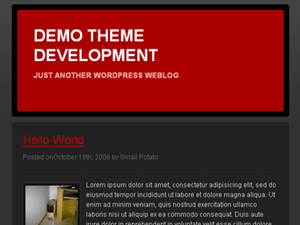 Truthfully, it’s a red, lazy, one-column WordPress theme. Don’t read too much into the Matrix part.